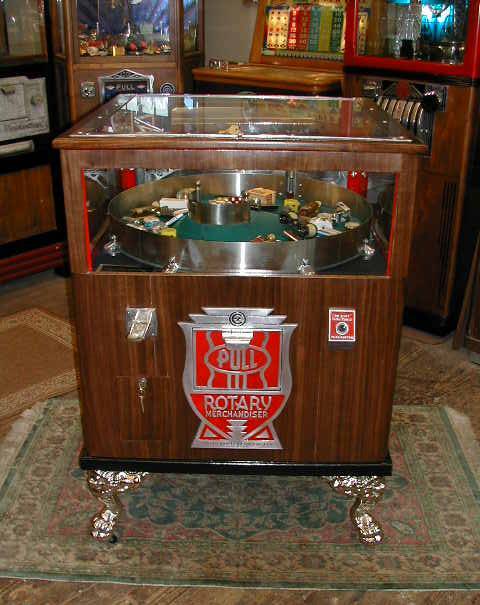 This is the casino model – a bit fancier than the usual rotary machines. Walnut and walnut veneers. Restored by James Roller.